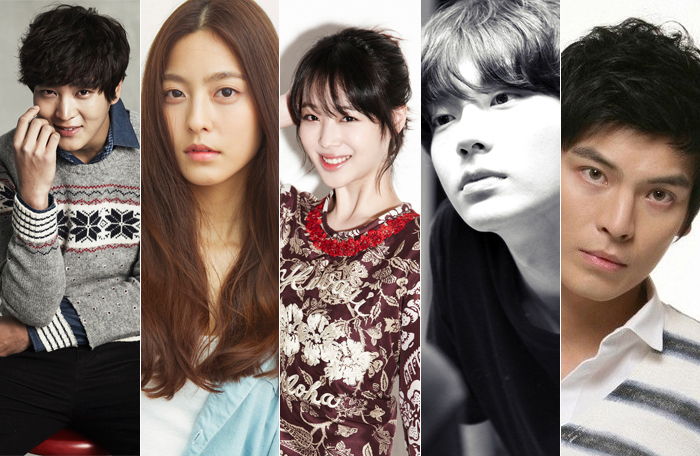 The cast has been announced for Fashion King, a new film based on a popular webtoon with the same title that was read by four million people. The story is about high school boy Ki-myung, who has a crush on the prettiest girl in his class and opens his eyes to fashion in order to become the best dressed person in the world. It will be directed by OH Ki-hwan of The Art of Seduction (2005) and A Wedding Invitation. The main character will be played by JOO Won, star of Don’t Click (2012) and Steal My Heart. TV star PARK Se-yung will take the role of Hye-jin, the pretty girl who steals Ki-myung’s heart. Sulli (Memories of the Sword), a member of girls group f(x), will act as Eun-jin, who falls in love with Ki-myung; while model turned actor AHN Jae-hyun, was cast as Won-ho, WOO Ki-myung’s rival. KIM Sung-oh of Tough as Iron and The Man from Nowhere (2010) was picked to star as Nam-jung, the fashion instructor who teaches everything he knows to Ki-myung. “I’m happy to make a great webtoon into a movie. I’ve taken a long time to prepare for this production and I’ll do my best to put all the fun of the original piece into the film,” said director OH. Fashion King will be financed and distributed by NEW, the company behind Miracle in Cell No.7 and The Attorney. It is slated to begin shooting in January and expected to premiere in the latter half of this year.